In this workshop you will explore different ways to improve and sustain your character play while improvising. Great character work helps you make more discoveries, break out of ruts, and give scenes new energy (plus you'll probably get more laughs). ​Joe Liss is the “improviser’s improviser.” He learned his craft from the giants of Chicago improvisation: Paul Sills, David Shepherd, Del Close, and Sheldon Patinkin. He’s an alumnus of the Second City, where he wrote and performed with David Pasquesi, Joel Murray, Tim Meadows, Chris Farley, and Mike Myers. Joe is one-half of the improv duo, Liss n’ Sams and a member of Totally Looped an improvised film dubbing show which features Keegan-Michael Key, Dan Castellaneta, Maria Bamford, Laraine Newman, Rick Overton, Angela V Shelton, and Gary Anthony Williams. Joe is also one of the writers and performers of the critically-acclaimed musical The Bicycle Men. 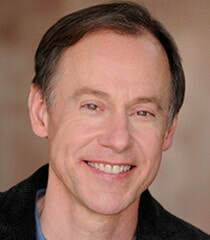 Joe’s comedic talent is well known throughout the entertainment industry. You’ve seen him as the world’s oldest hippie on HiddenAmerica with Jonah Ray, the shoe thief on Curb Your Enthusiasm, the hard-nosed football coach in Strangers With Candy. His film work includes Home Alone 2, Curley Sue, and Bobcat Goldthwait’s God Bless America. He has written on Third Rock From the Sun, Comedy Central’s Drawn Together, Disney’s Kick Buttowkski: Suburban Daredevil, SpongeBob Squarepants, and Spaceballs: The Animated Series. Joe is currently based in the Bay Area showing people how it’s done.